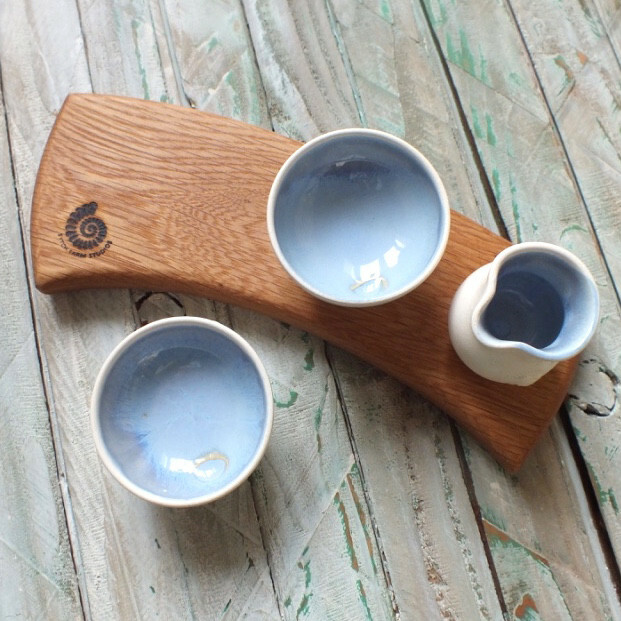 Three small hand thrown and turned ceramic pieces on a solid hardwood board. 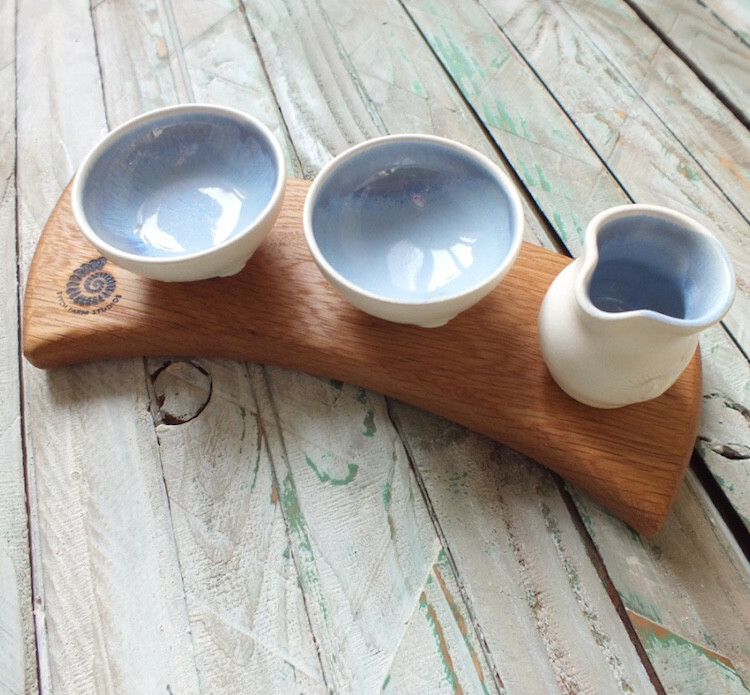 Sets currently only available in Soft Blue Glaze. 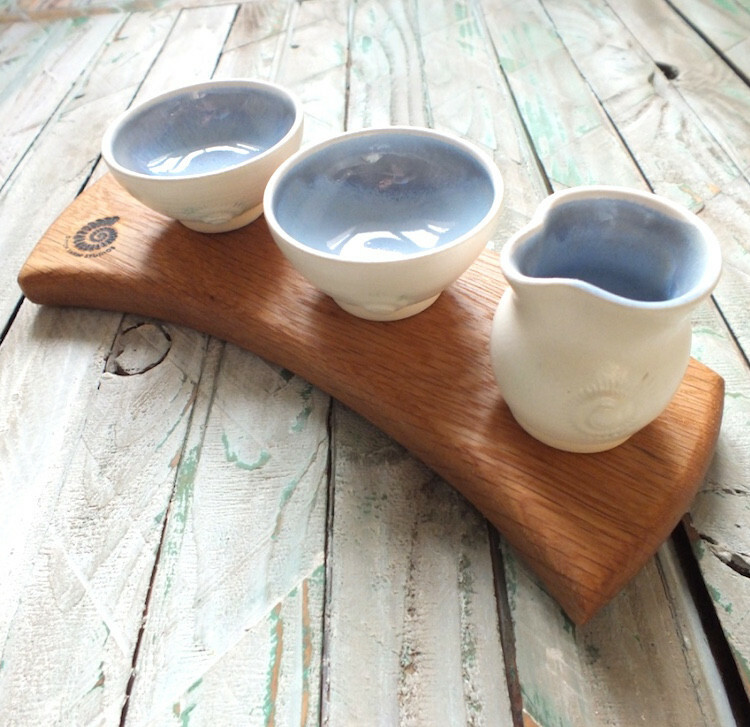 Three small hand turned pieces in Soft Blue Glaze on a solid hardwood board. Perfect for nibbles, dips, seasonings, jam, butter and milk, endless choices. Bowls measuring smallest bowl dia 5.5cm and largest at 7cm dia, 3cm height, jug average 5.5cm height.